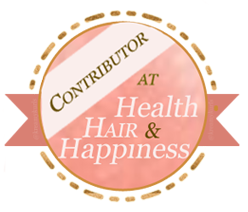 Normally, Mondays are for Hair Tip Mondays but today I wanted to talk with yah! I'm trying to attend more social events to meet new people and of course get over my social fears. So, two months ago I went to my first Reve Wellness Festival and Saturday August 8 was the day set for the event. It was held on the lawn of Devon House and it was a very lively day with many Brand Jamaica representatives and entrepreneurs decking the garden with their products. The music was pumping and good vibes were in the air. There were various things to see such as handmade accessories, sandals, bags, clothes, skin care products, juicy fruits for delicious smoothies, huge jelly coconuts and of course herbs! No, not that kind! Herbs like Irish moss, Guinea hen weed and Moringa. It was a wonderful experience to speak with the individuals behind the varying brands and it was most fascinating seeing how the many elements of Jamaica, both the traditional and the modernized version complimented each other. After visiting all the booths, I made my way to the Natural Hair Workshop/Meetup which was hosted by Hair Skin Love Jamaica. We got off to a very late start but the intimate session seemed to make up for that. 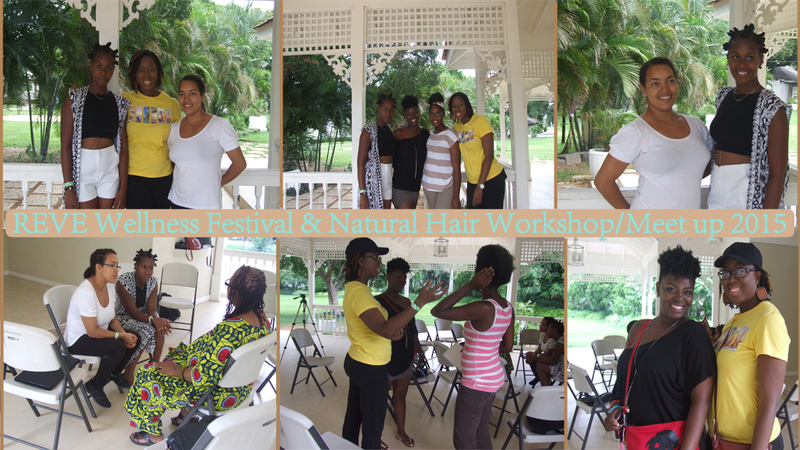 We were educated on porosity, tips on tackling dryness and a few product recommendations. 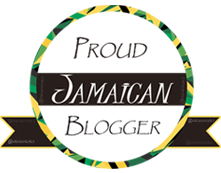 I also had the opportunity to meet two other Jamaican bloggers, Iceta Wright (blogger at Bawn Natural) and Deidre Callam (blogger at KeepitKinky) plus chatted it up with the naturalistas and loc sistas that came. We shared our thoughts on beauty, favourite conditioners, hair care companies and their marketing tactics. Overall, I enjoyed the experience; however, the workshop/meetup was poorly attended. Nevertheless, the intimacy created allowed each of us to freely express our thoughts and hair journeys- struggles and all. I wish more persons had attended and better promotions were done to encourage support of the meet up. Better management was needed on the timing of the activities, Yoga was scheduled for a specific time and it exceeded the time allotted which then caused the meetup to be delayed. Withal that, looking forward to what they'll have to offer in the future and the possible improvements.